We are extremely excited to introduce our exclusive online journal for duck call and goose call making enthusiasts. Whether you are new or a veteran to wood turning and making duck or goose calls, this information will be of interest to you! Call Makers News was developed by an avid sportsman and duck call maker with the intention of providing helpful information to all call making enthusiasts. The information contained within this site reveals pictorial and video step by step instructions for making a duck call as well as listing various suppliers within the call industry, national events, game call forums and links to other call makers websites. We also have a tool discussions section where we provide extensive product reviews on the various tools that are used in making a duck call or goose call. They are graded on durability and practicality with the call maker in mind. 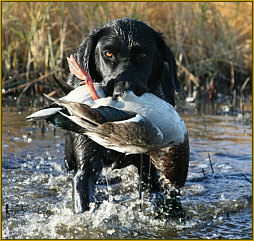 Our shop talk section contains “how to” information regarding the different steps of making a duck call or goose call. This section also contains a step by step pictorial and video instructions on how to make a duck call. We welcome any idea’s or suggestions for the content of this site. Please feel free to contact us!